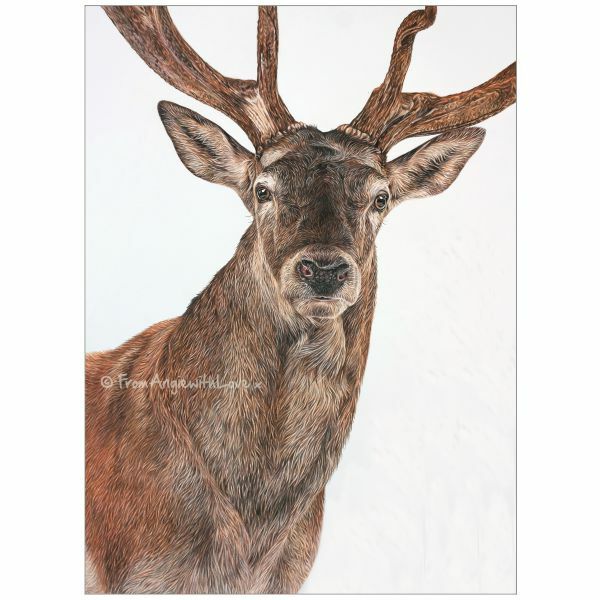 This splendid Red Deer portrait is available as a limited edition full size (A2 – 42x60cm), or open edition 42x30cm size giclée print, framed or unframed. The Red Deer is the UK’s largest land animal, and a full set of antlers gives the stag a commanding and majestic appearance. For this portrait, I opted for a close crop, to bring the focus back to the stag’s eyes and create a sense of connection with the animal.